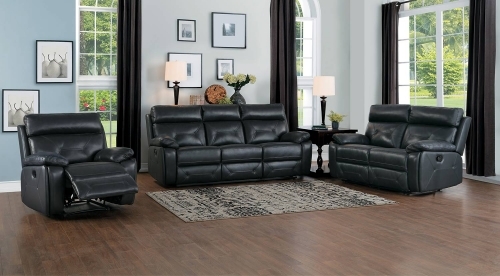 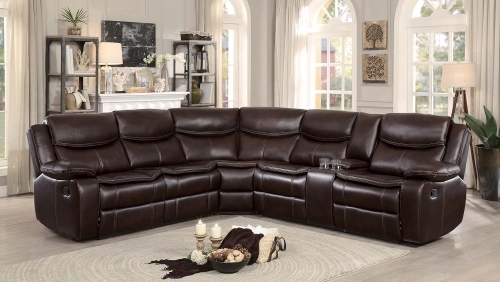 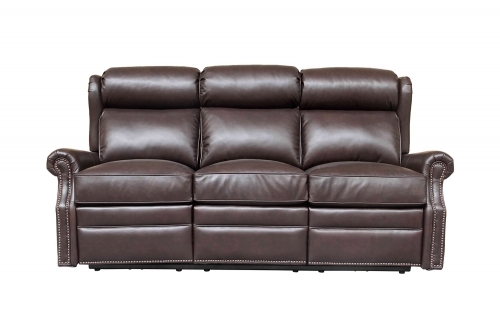 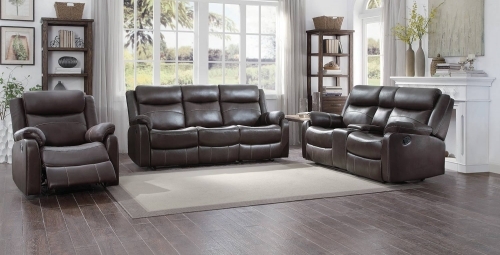 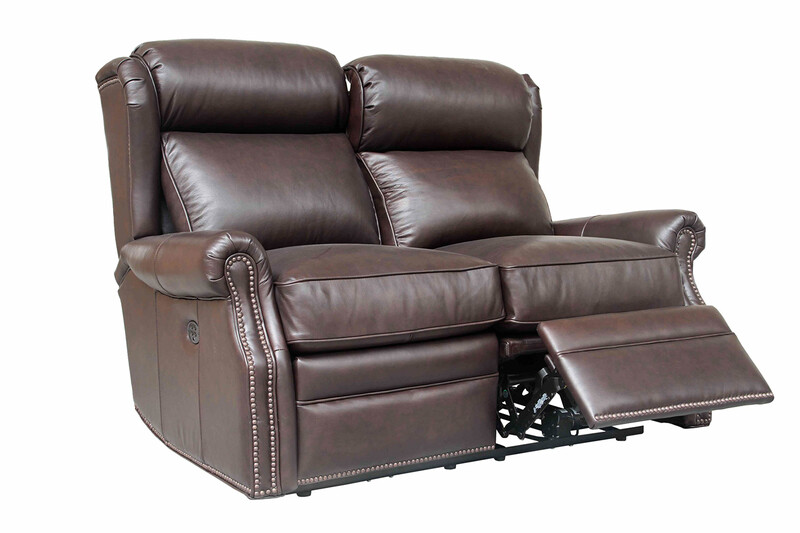 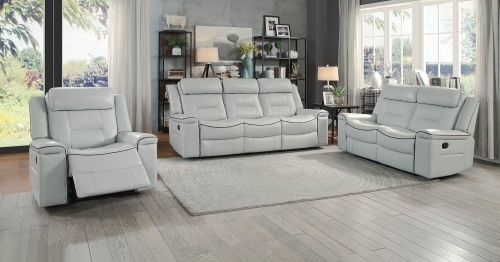 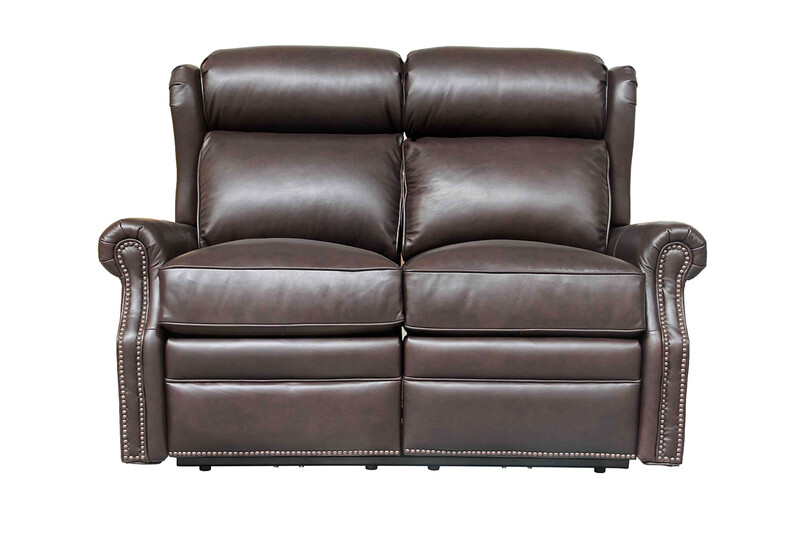 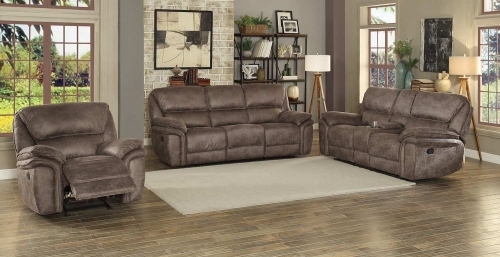 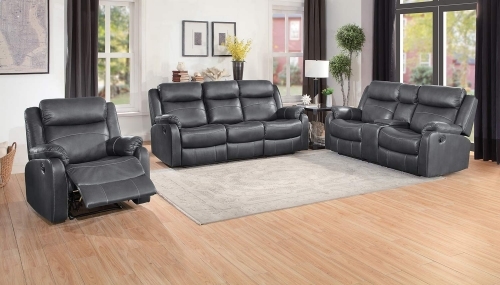 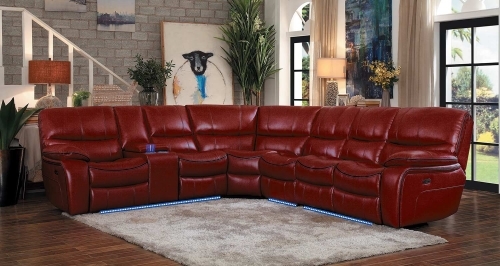 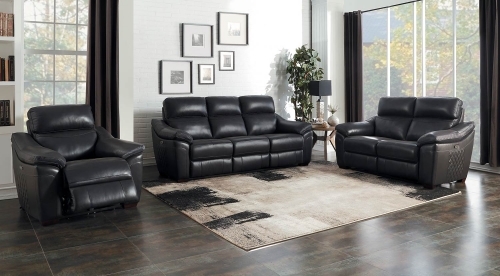 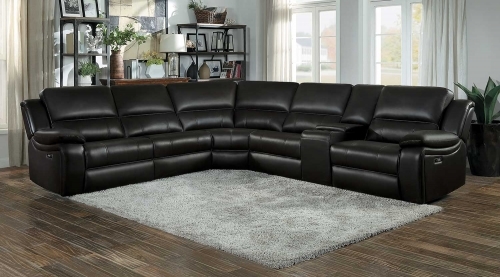 Classic smaller scaled winged pub back power reclining loveseat with perfect view adjustable power head rests. 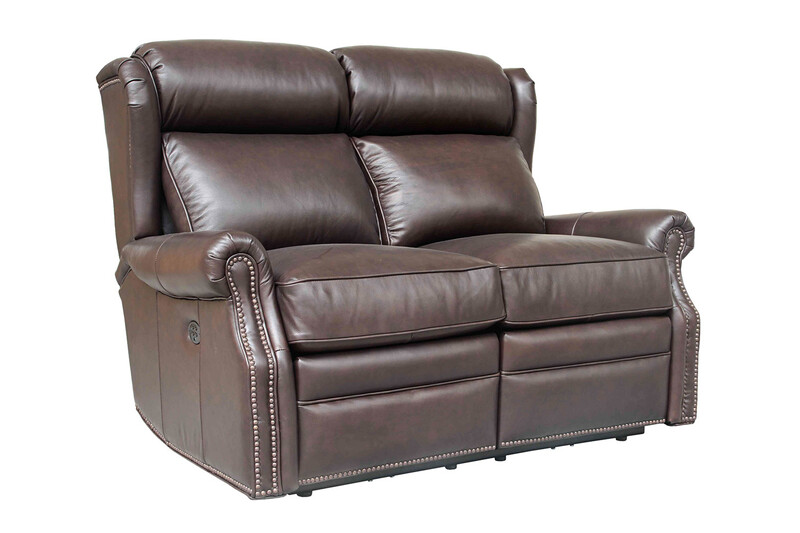 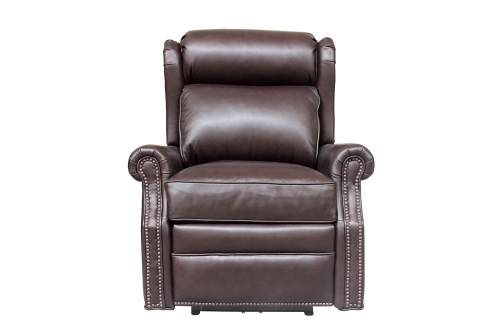 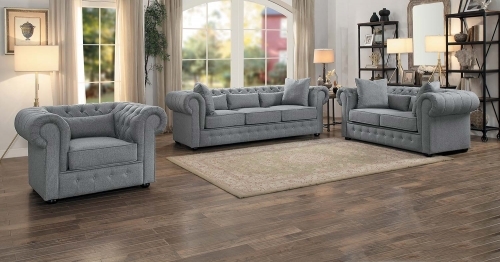 The pleated wings, kneed back rolled arms, side rails and footrests are accented with distressed nail head trim. 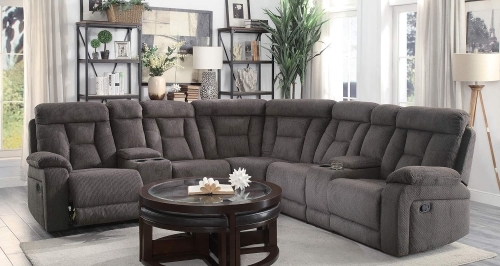 Loose welted box seat cushions have pocketed coils with a down blend feather wrap. 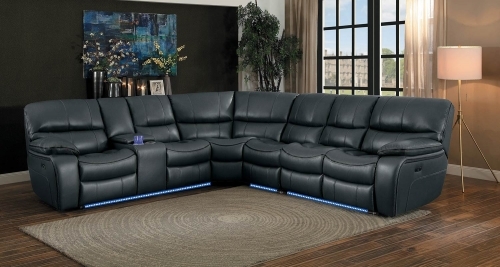 Power buttons have USB port.